Our squash bed has gone berserk over the last couple of weeks with all the sunshine and rain we’ve had. 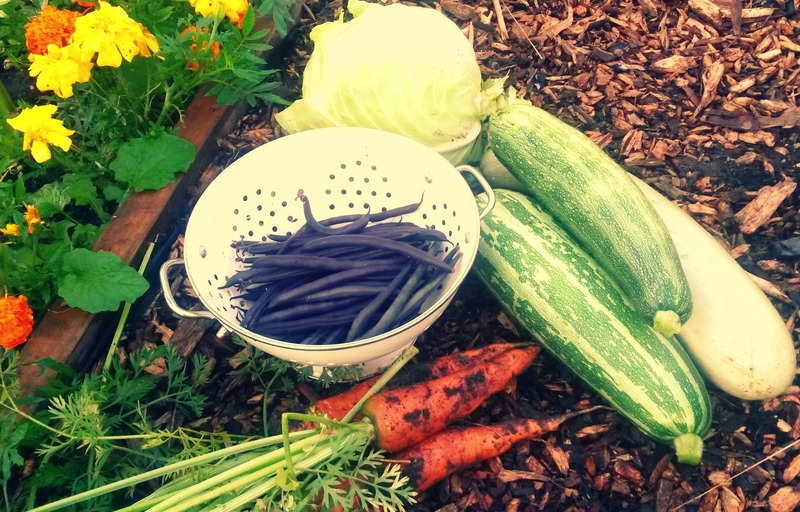 The first courgette was plucked from the plant a week ago, and we harvested some of our marrows at the weekend, along with our delicious carrots and purple dwarf French beans which have a wonderful flavour (although they sadly lose their purple colour when you cook them!). We also harvested the last of the cabbages which had unfortunately been left on the plot a little too long, and some little blighter had burrowed its way right through to the heart; we had to throw it away. Ah well… we’ve had a good innings on the cabbage front considering it was the first time we’d grown them. Now I wonder what kind of marrow magic I might create in the kitchen this week…. Next Stand By Your Beds!